For individuals who suffer from plantar fasciitis, the first few steps after getting out of bed in the morning are often extremely painful. Some describe the sensation as walking on pieces of glass. Fortunately, by using natural treatments that avoid surgery, our chiropractor in Boca Raton can bring relief to patients who visit our Shadowood Chiropractic Center. 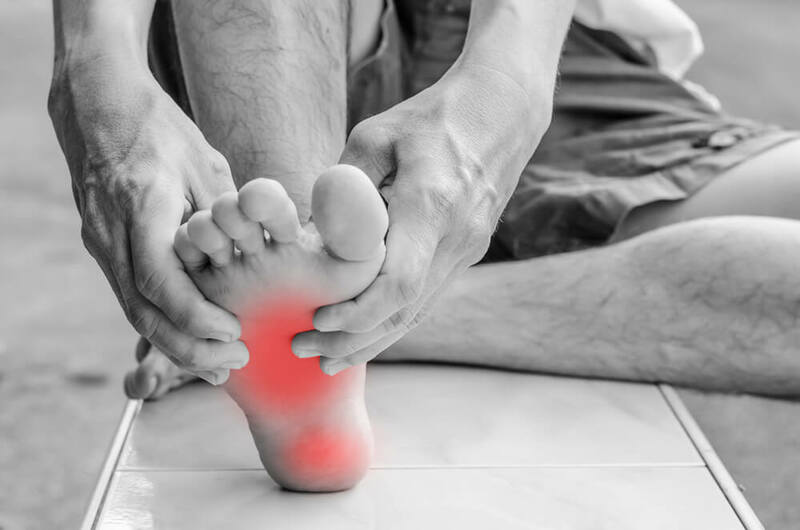 Plantar fasciitis is an inflammation of the plantar fascia, a band of connective tissue on the bottom of each foot. The plantar fascia connects the heel bone at one end to the base of the toes at the other and creates the arch of a foot. Around 2 million Americans suffer from foot pain associated with this condition each year. Pain in the bottom of the affected foot radiates to the front of the associated heel. This discomfort makes it difficult to put any weight on the foot. Pain tends to be the worst the first thing in the morning. As the individual begins to walk, the fascia lengthens a little, causing discomfort to diminish. The disorder also tends to worsen after exercising or standing for extended periods. Heel spurs are just one possible complication. A number of factors could cause this disorder. When an individual walks with a step that’s abnormal or repeatedly puts pressure on a heel, the plantar fascia sometimes stretches in an irregular way, undergoes unusual stress, and develops tears. These tears cause inflammation and subsequent pain. As many as 85% of individuals with an inflamed plantar fascia suffer from excessive pronation, the inward twisting of a foot. Other culprits include high arches, a tight Achilles tendon, walking or standing on irregular or hard surfaces, and running or other physical exercises. Poorly cushioned footwear, excess weight, and aging can also cause this condition. Although rare, a traumatic foot injury could trigger this type of foot pain. Our chiropractor develops a customized treatment plan for each patient. The core therapy for this condition is a manual adjustment. Low-force, gentle adjustments using the hands corrects misalignments in the feet responsible for discomfort. Complementary therapies include exercises to stretch calf muscles, heel or arch supports, and orthotics. Lifestyle adjustments such as losing weight are often beneficial. Exercises to do at home to adjust posture, balance weight, and boost physical activity level can help improve the way a patient walks and also speed healing from plantar fasciitis. Is pain interfering with the lifestyle you love? Our Boca Raton chiropractor, Dr. Allan DellaBella, has been serving the area since 1985 and can provide relief using natural treatments. Members of the U.S. Olympic team and patients from across the country have traveled to our Shadowood Chiropractic Center for treatment due to his outstanding reputation. Call us today at 561-488-4000 to schedule an appointment and begin living your life to the fullest.